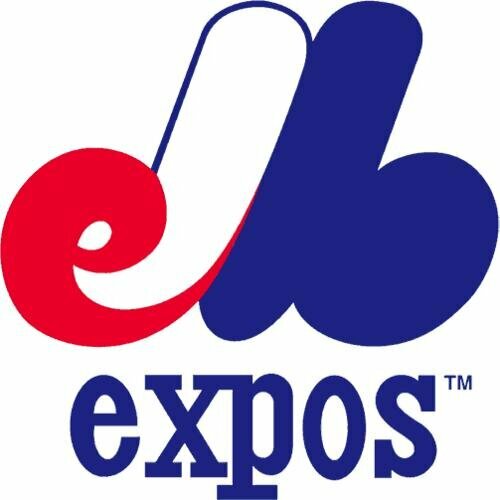 The history of the Montreal Expos is not a happy one. This is pretty easy to assume, considering that they have been gone for over a decade now, leaving Montreal for Washington, DC, and now call themselves the Nationals. 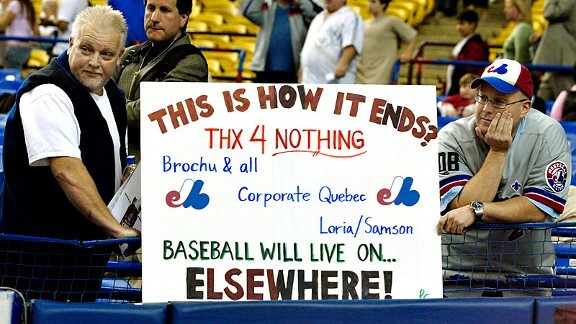 It can be debated as to whether Major League Baseball in Montreal was a success or a failure, in the end. Those who saw the final days of the Expos, with laughably minuscule crowds in the grotesquely expansive Big O (Olympic Stadium), perhaps the worst ballpark in the majors, may assume that the city was always neglectful of their team, and that they deserved to have them pull up camp and head for Washington. 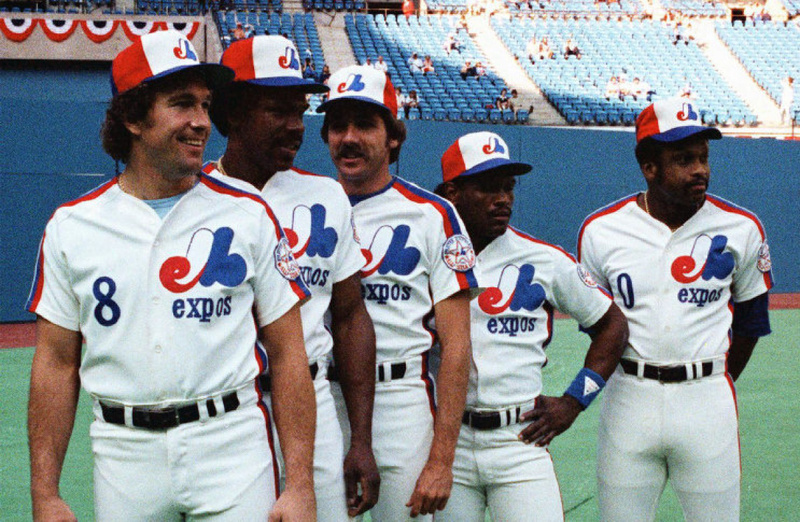 Montreal loved the Expos. Passionately. There were the good times, when the team was consistently competitive (even getting a game away from a World Series appearance), and the Big O was packed. Players became local legends, and there was even a time where it could be argued that the Expos surpassed the legendary Canadiens as the most popular team in town. But there were too many failings that forced the team to leave. Following the tragedy of the players strike in 1994, which wiped out the Expos best chance at winning it all (the team was the best in the MLB at the time of the strike, and they were absolutely an incredible team, just look at that roster! ), new owners decided that they needed money, and completely stripped the team in a Florida Marlins-esque fashion. It truly was the death knell for the team. Cheap owners, the abandonment from corporate Montreal, and some questionable decisions by the league made it impossible for them to stay. But there were definitely plenty of good times. In Up, Up and Away, we are provided with the complete history of the team, from their hilariously thrown together inception in to the league, to their final days before leaving. It is a story of ups and downs, of a city falling for a bunch of underdogs, and finally rejoicing when they were good for real (that ’94 team remains possibly the greatest “what if” team in baseball history), readers are provided with a much clearer understanding of the last franchise that was forced to relocate, and the first one who had to do so in the previous four-plus decades. 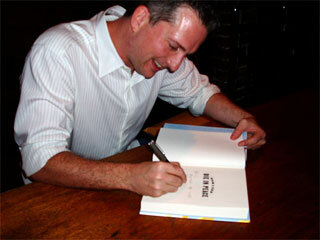 There are plenty of great stories in here provided by author Jonah Keri, a die-hard fan of the team. He brings to life the characters that put on the baby blue uniforms and questionable caps of the Expos. He talks about the great players that went through, and the minor ones that are barely remembered. He discusses the fever that the city would get whipped into when the Expos would be challengers for a pennant, and we are taken to a time when they really were Canada’s team, before the Blue Jays came around and stole most of the coverage the Expos received. While the book is not perfectly written, and often takes us into too many details of trades, it does a good job of helping us remember the scrappy team that ended up being abandoned by everybody in Montreal. The stories of the terrible ballpark and the failed attempts to get a new one. It is easy to tell that Keri writes with passion, on occasion bringing us into his personal experiences of fandom. Personally, I felt that parts of the book could have used a more personal touch, but as it stands, Up, Up and Away will stand as the most definitive history of the team that we have in book form. For fans of baseball, this is a good read. For those of us who remember the Expos, it is incredibly interesting to read about, and remember, the plethora of great players that went through that city on their way to massive, Hall of Fame careers. And it makes us sad, because what could have been in Montreal. With only a couple of breaks here and there, either on the field or off of it, we could be looking at a completely different history of the team, one who could still possible reside in La Belle Province. And that is what makes the Expos such a tragic team. Up, Up and Away is a good read, and belongs in the pantheon of the many great baseball books out there. Bill Simmons is my favorite sports writer. Over the course of his career, he has produced a ton of work, and much of it is focused on the teams that he loves the most: the Patriots, the Celtics, and the Red Sox. His writing can be long-winded, and is always extremely biased, but it can also be very funny, and he truly does care about what he is writing about. He has managed to create a great career as a sports writer, and still manages to love the game he writes about. Really, there is nobody better to write about the 2004 Red Sox than Bill Simmons. Over the course of the book, which is now in its third edition, he has accumulated articles that not only chronicle his pained history as a Red Sox fan, but his infatuation with the team, and the ups and downs of the ’04 season that culminated in the historic World Series win for the first time in 86 years. 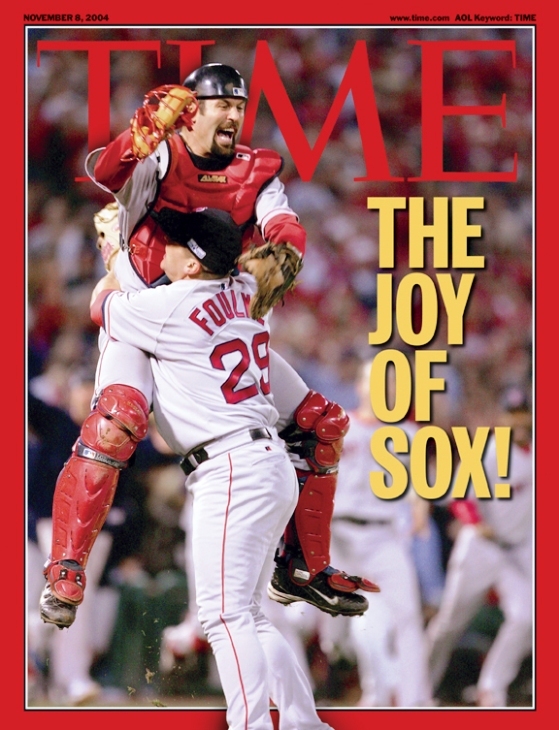 The articles do well to show really how painful some of the memories of the Sox are for their longtime fans, and also show their nature of loving then hating someone on the team. The overractions are constant, the idolization of athletes is continual, and it is constantly fun to read. One of the best parts about Simmons’ writing is the endless pop cultural references, and the tons of footnotes that he adds to his work. It is hilarious, and often spot on. 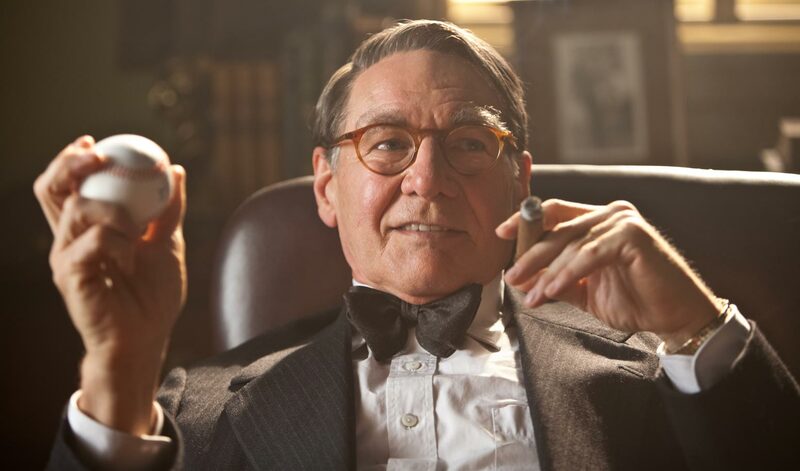 His consistent use of The Shawshank Redemption as a means to compare things is always right, and gives us a firm ground for comparison in many of his articles. Simmons takes us through the hurt, and the torture, of so many Red Sox moments of infamy: from the harrowing losses over the years, to the players leaving town for greener pastures, leaving behind them a rabid fanbase that wants nothing more than to celebrate a World Series victory with their beloved team. He takes us through the panic-inducing 2004 ALCS, where the Sox fell into a seemingly insurmountable 3-0 hole against the mighty, and hated, Yankees. And he does it so expertly that he has created a true page turner of a book, even though we already know the ending. 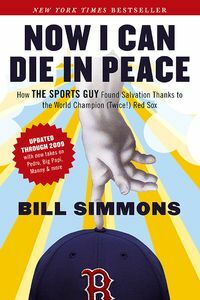 The connection that Simmons has with the team is incredible, and at points, it becomes a book that is more about the relationships he has with people because of the Sox, than about the Sox themselves. His father plays a major role in so many of his stories, and his article after the Sox finally won is something that can truly tug at the heartstrings. Simmons is a versatile writer, who is easily able to make us mad along with him, or vividly recount the tale of a game that we watched, or make us actually laugh out loud while reading. The ’04 Series win was kind of a big deal. There are tons of books about baseball, and many of them are very well done. Now I Can Die in Peace provides us with a little something more than others, specifically others that have chronicles the championship run: it has soul to it, and that soul comes from an endless passion for the team that the author has. For any Red Sox fan looking to relive some pain and some glory, this book is a must read. For fans of other teams, it offers a great look at how the team came to be where it is today, now a team that has won 3 championships in the last 10 years. This documentary had been sitting in my Netflix queue for quite some time, and I finally got around to watching the film made about a Class-A baseball team that started playing in Portland, Oregon, during the 1970’s. And boy, was I glad I did finally watch it. 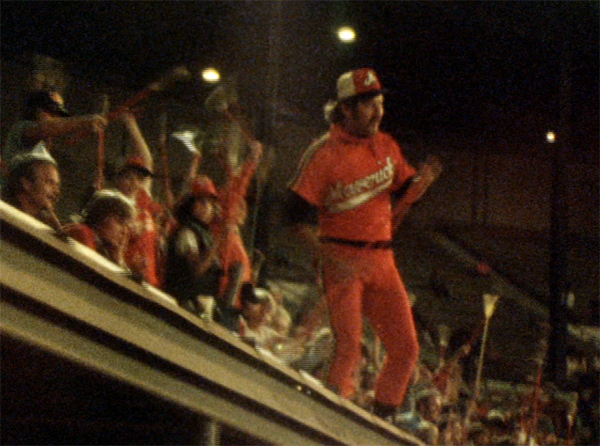 The Battered Bastards of Baseball is an exceptional documentary about baseball, about the minor leagues, about one man’s baseball dreams, a city embracing the ultimate underdogs, taking on the system, and having fun playing a game. It is definitely worth watching. When the Portland Beavers left for Spokane, the city had lost its AAA baseball team, and the sport was essentially dead in the Oregon town. But one man, actor Bing Russell (father of Kurt), decided that he wanted to bring baseball back to Oregon, in the form of an independent Single-A team, which he named the Portland Mavericks. Russell was obsessed with baseball, and had spent his youth around the famous New York Yankee teams of Lefty Grove and Joe DiMaggio, and had spent some time playing in the minor leagues himself. He was a true student of the game, analyzing it to death, and going to far as to make baseball documentaries that would teach others how to play the game the right way. He wrote about how to play in every possible situation. This was not some actor trying to recapture his youth, it was an actor with a baseball dream, and one that he understood incredibly well. Buying an expansion franchise for a miniscule price, he held open tryouts for the Mavericks, which led to the team being stocked with a bunch of no-names and men whose dreams of baseball had seemingly died when they were never drafted or signed by a big-league club and allowed to play in their massive farm systems. By being an independent team, meaning there was no affiliation with a major league club, meant that the Mavericks were going to be playing against developing major league players, and the bonus babies that the big teams had down in the minors, to learn the game. They would always play with a chip on their shoulder. And the Mavericks made the big league teams look bad. Because they were good. Russell assembled a team that would win, playing their hearts out to prove that teams made mistakes in not drafting them at some point during their careers. They weren’t all pimply-faced college kids, as many A teams are, but a mixture of youth and veterans. But they all held one thing in common: they all loved baseball, and they just wanted to play. Since there was no MLB affiliation, Russell had to foot the bill for everything himself. And it took some time to build up a fan base in Portland, but when they did, they set records. The city began to truly embrace their gang of miscreants, the team that would go out on the field, play the game the right way, and have a ton of fun doing it. The Mavericks didn’t play for long in Portland, because the Pacific Coast League, the largest AAA league in baseball, eventually decided that they wanted back into Portland after seeing the massive crowds that were attending the Mav games. Due to baseball legislation, they were allowed to do this, and they simply had to buy back the territory owned by the Mavericks. This lead to a court battle based on the price they needed to pay, and here we see Russell standing up to the PCL, because he had built up something incredible for the low minors, and they just wanted to take it away from him. The return of the PCL signaled the end of the Mavericks, but their legend can now be seen by everyone. 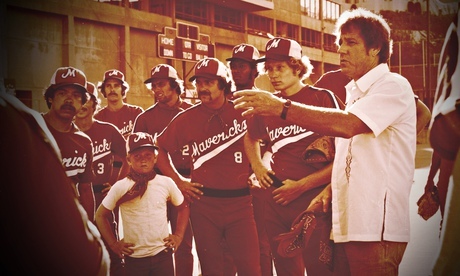 They set attendance records for A ball, the team had winning records that were unmatched, and some of the players from the team went on to do big things (including an Oscar-nominated bat boy, and of course actor Kurt Russell, who was a player on the team, the inventor of Big League Chew, and a pitcher who made it back to the majors). The Mavericks proved that even as the only non-affiliated minor league team in the country at the time, they could make it work, and they could play the game that they loved. The story is told through interviews with some former players, the commissioner of the league, the bat boy, and others, and they all look back fondly at their time with the Mavericks. Their individual stories are great and compelling, as are the results of some of their lives. This is an excellent documentary, and a definite must-see for any baseball fan. It shows the possibility of the love of the game, and has a great us-versus-everyone storyline that is undeniable. 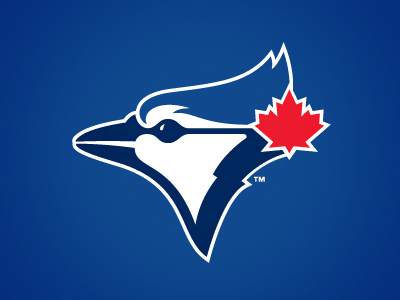 The Battered Bastards of Baseball is well worth the time to check out. As a fan of the Boston Red Sox, I should hate Derek Jeter. All Red Sox fans should. He was a great ballplayer, one who tormented the Sox for years and years. During the heyday of the Yankees, he always had his hand in shattering the hopes and dreams of Red Sox Nation time and again, as he led the dreaded Yankees to five World Series titles. But looking back now, now that we have won three World Series of our own, broken the Curse, and remained one of baseball’s most well-run organizations, it is possible to look back at the career of The Captain with some respect. Had the Sox never come back from that 3-0 deficit in 2004, and never emerged as champs again in 2007 and 2013, Jeter would probably remain one of the most hated people among Sox fans. But finally, we overcame him and his team, and are champions ourselves, so now we can give him the respect that he deserves. I know that he is being lauded as such, but I don’t think that Jeter is a top-5 Yankee of all-time. It is impossible to crack that list, with the truly impressive list of some of the best players of all-time sporting the pinstripes during their careers. Despite his Gold Gloves, he was never really the best defensive shortstop out there, and his bat would never destroy you. But his timing would. When there was an incredible play to be made, or a clutch hit to be had, it always seemed that it was #2 doing it. Off the field, despite having an impressive list of gorgeous A-list girlfriends, a string of beautiful women leaving his apartment, he was never embroiled in controversy, as so many athletic stars are these days. He kept his nose clean, at least to the best of our knowledge. And this allows us to like him even more, because he never became a true villain in the sense of someone like Barry Bonds or Roger Clemens. We were only able to hate him because he was good. I watched his final game at Yankee Stadium the other day, and when he came up in the bottom of the ninth, it was almost guaranteed that he would do something. Hitting a walk-off single to secure a victory for his team was pretty much expected. Sure, they may have tossed him a ball that was easy to hit, but he still got it done. And that is all that matters. It was a perfect sendoff for a magnificent career. I always liked that he wore #2, now the final single-digit number that a New York Yankee will ever be able to wear, as his will be retired soon. Letting him have that number was a historic move, and he honoured it throughout his career. 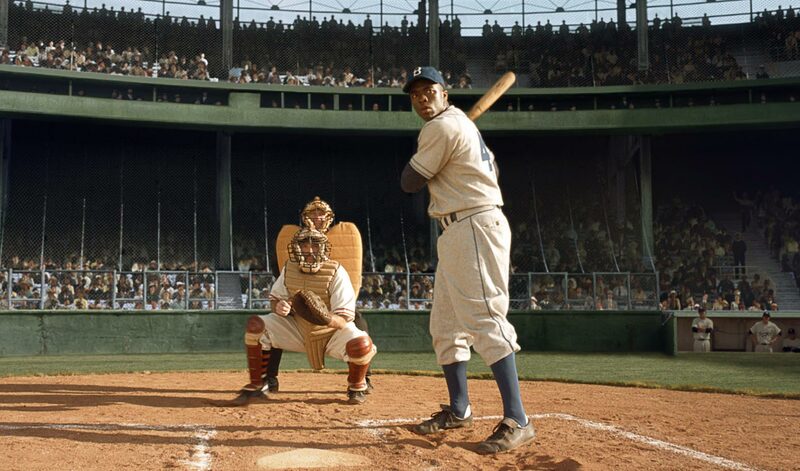 He does stand with the likes of Ruth, Gehrig, DiMaggio, and Mantle, and that single number on his back was always a symbol of that, of his greatness. 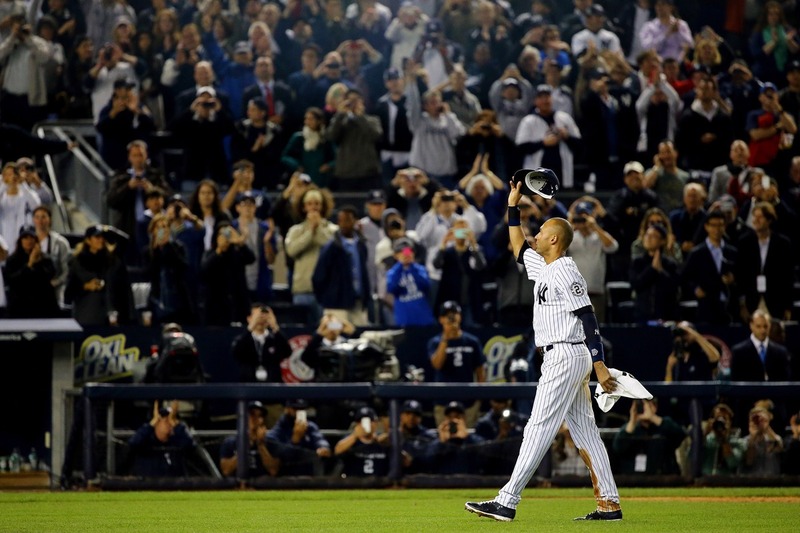 Even as a fan of his most hated rival, it is easy to look at Jeter with respect, and some admiration. He had a great career, and in five years, it is all but guaranteed that we will be seeing him again when he is inducted into the Hall of Fame in Cooperstown. It is a place that he belongs, among all the other greats of this amazing game, and as much as I don’t want to see another Yankee cap in bronze there, he deserves it, and he belongs there. Even just being the all-time hits leader on such a hallowed team is enough to get him in to Cooperstown, in my opinion. In a season that served as a year-long sendoff for #2, it has become tiresome reading all of the articles about him. Seeing all of the strange, and somewhat cheesy gifts that teams presented him with over the course of his farewell tour. But now that it is over, with only two games left on his career (being played in Boston, no less), we can really look at him and appreciate what he has done for the game of baseball. He played, he won, and he did it with class. 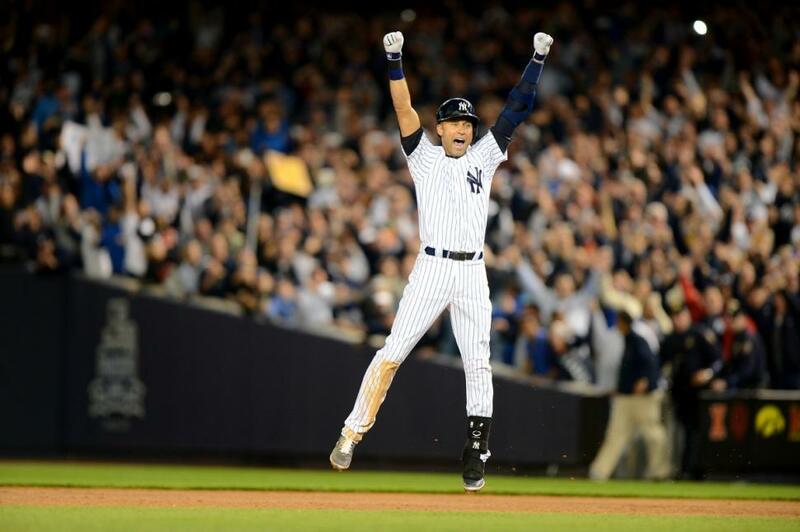 Congratulations to Derek Jeter on a great career. I won’t miss seeing you rip the hearts out of Red Sox fans, but I will miss having you be a part of baseball. Because that’s where a true ballplayer belongs. A part of the game, forever. The non-waiver trade deadline day was a bittersweet one for me, as a Red Sox fan. It is time to admit that there will not be playoffs in Boston this season, but I can accept this “do poorly one year, make some smart moves, and compete every other year” concept that seems to be happening there over the past couple of seasons. There is no question that moves needed to be made this year, that the team assembled just wasn’t working out. There are significant gaps in that lineup, and some changes needed to be made. The Red Sox ended up making the most moves on deadline day of any of the teams, getting back some good major league talent in exchange for some pretty central pieces of their championship team of a year ago. And this is where the bittersweet feelings come in. When the rumours surfaced that Jon Lester was on the trading block, I didn’t want it to be true. I know the way the Sox operate, that they don’t want to dole out massive contracts for aging players, but I wanted them to break their own rule for Lester. He is my favorite pitcher, and I have followed his career since he first started with the Sox and threw his improbably no-hitter right at the start of his career. I always figured that he would rack up a couple of Cy Youngs over his career, and while we still may be waiting for the awards, he has had some outstanding seasons and shown himself to be a great playoff pitcher in the Series wins in 2007 and 2013. For me, Lester was the Red Sox, as much as Dustin Pedroia and David Ortiz are. He was the core, and despite him coming up on 30 years old, I wanted him to remain with the organization for his whole career. Sure, there is talk that he could re-sign with the Sox in the off-season, but let’s be honest. That almost never happens, and there will be plenty of teams that will offer him the term that the Red Sox won’t, given his age. I just pray that he won’t end up on the Angels or Yankees. If he had to be traded, I wanted him to be traded to the Pirates or the A’s, teams that I like, and that do still have playoff aspirations this year. In the case of the A’s, he now can join the best team in baseball, in hopes of leading them to a championship that has eluded them for 25 years. It was surprising that the Red Sox managed to get back an All-Star player for Lester, given that teams are often looking for top prospects when the big names are traded. Instead, we are treated to a big player-for-player trade, that rarely happens in the MLB anymore. 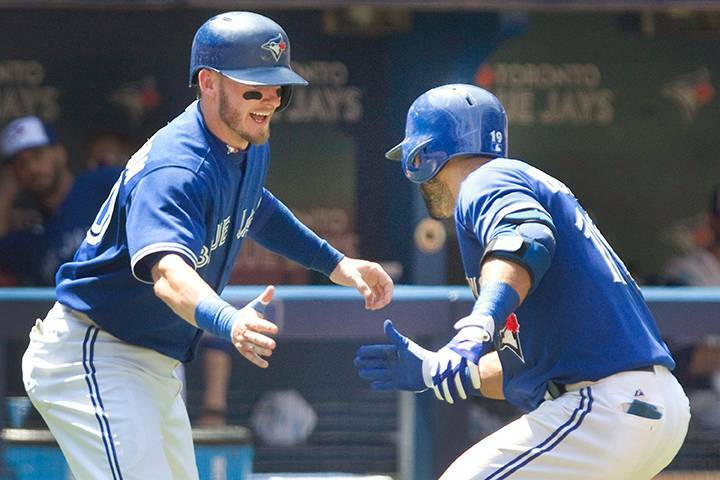 It made for exciting discussions, and while the loss of one of the best left-handed pitchers is crushing for the Sox and their fans, it was no secret that their outfield needed a lot of help. 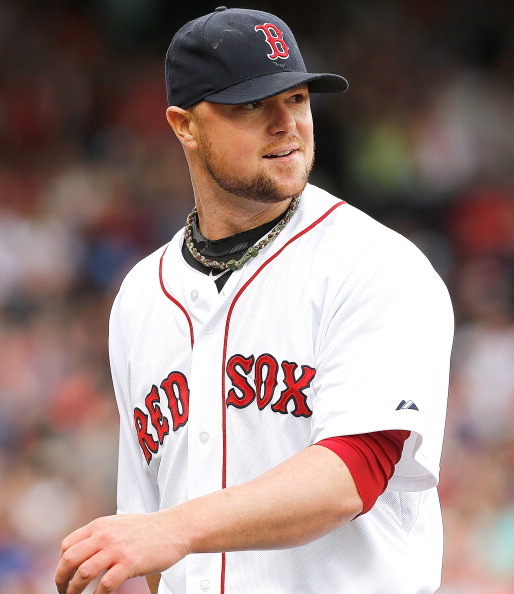 I will miss Jon Lester, and while I will still cheer feverishly for the Red Sox, I know that they are done for the year. I will cheer along the A’s as they try to make their way through the postseason, hopefully making it back to the World Series. Despite my sadness in losing Lester, I was happy for the return. Cespedes will fit nicely in the outfield, and he should be able to mash in the small confines of Fenway. Surprised they traded John Lackey as well as Lester, but content that they got a couple of big leaguers back in Kelly and Craig. They are both having down seasons, but are “needed a change of scenery” candidates. Glad they traded Jake Peavey. I never liked the deal that got him in the first place, and never felt like he fit with the Sox. Sure, he contributed to the World Series last year, but it was frustrating to watch him this year, because you knew he was going to give up at least one home run every time. He will do much better with the Giants, and being back in the NL. Good return on Andrew Miller, getting a quality prospect. I like the whole idea that they were not gutting the team and rebuilding. They are more doing a retooling, changing things on the fly. They are going to have to go after some pitchers in free agency this winter. They need to try and sign Lester back, and should probably make a play for someone like Max Scherzer. They will need a top of the rotation starter at least, to give the kids coming up some breathing room and some lowered expectations. I understand that the Red Sox needed to make some moves, and despite so many quality pieces being sent out the door, I understand what they needed, and so I would definitely qualify them as winners on this trade deadline day.